With the recent decision by the Grand Master of Florida on the exclusion of Pagan, Wiccan, or men of other “non traditional faiths” based on the Charges of a Free-Mason, I thought it a good time to look at these mysterious Masonic charges and try to put them into a historical context. I explored this subject in 2012 in an article Whence Came the Moral Law in Freemasonry, and so picking up on that work, considered another exploration relative to the Florida decision. Anderson’s Charges, originally written and published in 1722 (with a revision in 1738), have their origins in a series of General Regulations, drafted in 1720 as a method of conduct in lodge. Interestingly, nowhere in the General Regulations is there mention of God, Moral Laws, or any other pre-qualification of divinely inspired per-requisite to membership. The original Charges of a Free-Mason from The Constitutions of the Free-Masons (1734), was originally published by James Anderson A.M., and became the first Masonic text published in America by Benjamin Franklin in 1734. As a text, the Charges have a long history of precedence in Masonic policy, being an unspoken yet de facto baseline of how Freemasons operate. No two U.S. Grand Lodges have officially adopted the same set of Masonic Landmarks as part of their rule and guide, yet all use them, in part, as a source in their historical constitutions. So too is this true of the original Anderson Charges. The Charges themselves have a contentious history in American Masonry being argued and redrawn several times since their original publication by Albert Mackey and Roscoe Pound, to name a few. A Mason is obliged by his Tenure, to obey the moral Law; and if he rightly understands the Art, he will never be a stupid Atheist, nor an irreligious Libertine. But though in ancient Times Masons were charged in every Country to be of the Religion of that Country or Nation, whatever it was, yet ’tis now thought more expedient only to oblige them to that Religion in which all Men agree, leaving their particular Opinions to themselves ; that is, to be good Men and true, or Men of Honor and Honesty, by whatever Denominations or Persuasions they may be distinguished ; whereby Masonry becomes the Center of Union, and the Means of conciliating true Friendship among Persons that must else have remained at a perpetual Distance. Our interest here is in the phrase “…obey the moral law” which suggests that, if followed, the individual will “rightly understand the art” being neither an Atheist nor irreligious Libertine. But, one has to question how one rightly understands it, given that the notion of a moral law is vague as it changes with the social changes of the times within which it is interpreted. The rules of behavior an individual or a group may follow out of personal conscience and that are not necessarily part of legislated law in the United States. Moral law is a system of guidelines for behavior. These guidelines may or may not be part of a religion, codified in written form, or legally enforceable. For some people moral law is synonymous with the commands of a divine being. For others, moral law is a set of universal rules that should apply to everyone. But the idea of a moral law has an older source, namely in the philosophical works of Thomas Hobbes and John Locke. Certainly there are others whose contributions of thought led to these two, but Hobbes and Locke’s philosophy were the most influential at the times of Anderson’s writing and likely the source of the Ancient idea of a Moral Law. What makes this statement different from the Golden Rule is that Hobbes version suggests an action (or inaction) so as to avoid being on the receiving end of someone else’s retribution. But, it seems doubtful that this was the singular philosophical driving force to Anderson’s writing. 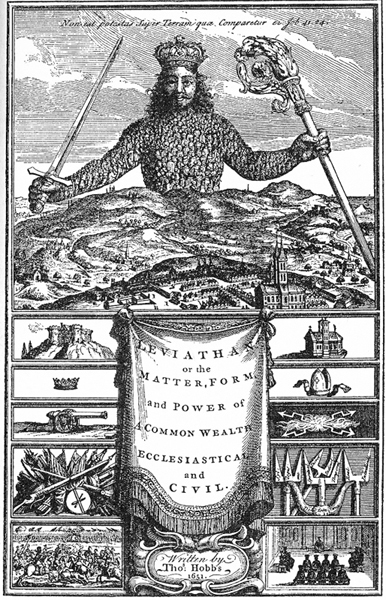 Originally published in 1651, Hobbes’ philosophy appeared in his work Leviathan which went on to become a part of the foundation of Western Political Philosophy, especially on the formation of social contracts. This is interesting given that belonging to a membership based organization is based precisely on this kind of social contract. It should be said that Hobbes, in considering his social contract, was a proponent of absolutism for the sovereign, or in more modern parlance, in favor of an absolute ruler over society such as a king. Seeing individuals outside of said society, Hobbes believe those poor unfortunates were in, what he called, a state of nature which made them “…solitary, poor, nasty, brutish and short” In this state of Nature, Hobbes believed that man was in a continual struggle, living in fear, ignorance, and in intense discomfort and it was this social contract that man could overcome the effects of the natural law and live in a higher state. So with Hobbes the idea of overcoming the natural law though social contracts would lead to better society building and community building. But English social philosophy didn’t stop with Hobbes, especially as we grow closer to the time of Anderson’s Charges. Following Hobbes, John Locke laid out his ideas in his work Two Treatises of Government, published in 1689. In these Two Treates, Locke lays out the idea of a civil society based upon Hobbes suggestion that every man begins in a state of nature and in need of a social contract. Where Locke differs is in saying that all men created equal in that state of nature by God. In the second Treatus, Locke makes the case for the only form of legitimate government as one with the consent of the people. Locke felt that any government not governed this way was worthy of being overthrown. While it is interesting to imagine how Locke’s work on establishing a democratic civil society may be at the heart of the original general Regulations and Anderson’s Constitution (both, remember, call for the election of leadership within a democratic framework) to find a link to his philosophical ideas on a Moral Law comes from a lesser known work by Locke, written in 1689, titled An Essay Concerning Human Understanding. In it, we can read on a multitude of aspects concerning moral rectitude, moral actions, the law of nature, and the foundation of being a Moral Being. Of note, Locke was writing as a Christian and saw the basis of a Moral Laws in the fashion of a carrot and stick means of motivation. What that means is that, as Locke saw it, God punishes those who fail to follow a religiously motivated moral law while rewarding those who do. This passage both defines the Moral Law, at the time of Locke’s writing, and sets a framework by which men of all faiths could be recognized as capable (obliged) to reflect the moral law through works. It would be doubtful that Anderson’s view of the moral law deviated significantly from Locke’s philosophy given the degree to which Locke’s other ideas of a civil society have permeated into Freemasonry, at least in principals, but Locke’s ideals were limited to social societies within which there may not be men otherwise “…at perpetual distance,” especially in a landscape of various religious denominations and potentially divergent faith traditions. In a broad sense, these various denominations and faith groups would be a part of the composite of his civil society and outside of the test of adherence to his idea of a Moral Law. Rather, Locke’s writing on the Moral Law seems to suggest that anyone who adheres to its ideal of works is following the prescribed practice and that it is his opinion as a Christian that those who do so under a Christian pretense will receive additional rewards. This may create some present day discomfort at between moralizing memberships for any faith other than Christian. But it certainly does not preclude differing faiths, at least not upon any philosophical argument, from the Fraternity accepting members from faiths other than Christianity. Perhaps that was the basis for the Florida decision, to finally take a stance and push out those not of common faith, and put specific definition to the meaning behind the Moral Law, a decision that would insist an all or nothing stance for other like bodies to step in line or dissolve relationships. Either way, it creates a situation of absolutism that seems fundamentally contrary to Anderson’s Constitutions. 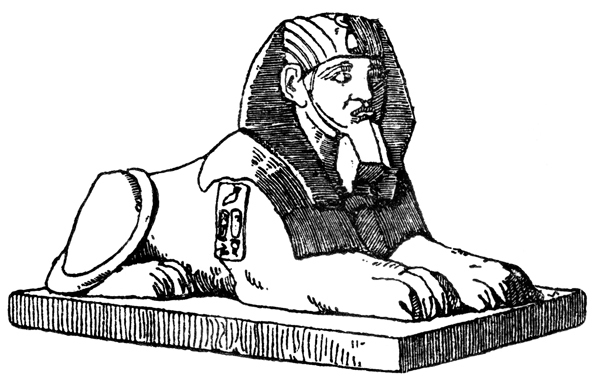 To reconcile the moral law, human responsibility, freewill, with the absolute power of God; and the existence of evil with His absolute wisdom, and goodness, and mercy, – these are the great enigmas of the Sphinx. Well written, with a lot of good insight, Greg. Hopefully, some of this good sense will wend its way to where it’s needed. Last year I discoverd what our James Anderson HIMSELF said about HIS “Moral Law”. As a masonic bibliophil and book-collector besides his famous Book of Constitutions I have in my library another book written by James Anderson, but hardly studied by freemasons: an original second printing from 1736 of his “Royal genealogies, or the genealogical tables of emperors, kings and princes from Adam to these times, in two parts”. In Table XIII on pages 18 and 19 Andersons describes “The chronology and history of the Reign of King Solomon” and mentions several times Hiram ABIF (!) as being “the most accomplished Master-Mason upon earth”. But he also writes about the Ark of Jehova being placed in the Sanctum Sanctorum of King Solomo’s Temple. Anderson mentiones the contents of the Ark: THE ARK CONTAINED NOTHING BUT THE TWO STONE TABLES OF THE MORAL LAW THAT MOSES PUT IN IT…! So here Anderson himself explains what he meant writing about the MORAL LAW in the famous first charge (“Concerning God and Religion”) of his Constitutions from 1723! Nothing more or less then Moses’10 commendments! As far as I know no-one else ever mentioned this striking explanation! As a daughter, granddaughter, OES Member, PHQ of Job’s Daughters, Past Guardian of a Bethel in Washington State and friends of many Masons and their families I was VERY insulted and disappointed in the airing of the commercial during the Superbowl game yesterday. Even though they did not “show” the “ring” it makes me very sad to realize just how misunderstood these wonderful organization are. Tolerance and respect go a long ways in the world we live in today!! As stated in another post….I do hope the individuals with the “power” PAY attention. The love, friendships and personal enjoyment I have received from these groups for the past 50 years are immeasurable. My dearest friends over those years ARE connected to the Masonic Fraternity. I totally agree with you Jeannie! I have seen and heard so much good coming from the Masonic Fraternity and how they help children protect the family structure but it’s the few that make a bad name for the entire organization. I had to move to another State after a divorce and lost my little girl who was being abused by her mother (adopted) and new lover. My ex’s father has a huge Masonic influence in that rather large town in Tennessee (Dickson) and I was never even allowed to go back to my own home to get my things let alone my daughter. This man bragged about how mush power he had in his ties with the Free Masons. He physically and sexually abused his older her whole life and he bragged to me how “the papers” never got to him! Bragged how “the Constable was a Mason Brother realized by the secret hand shake so the papers just got lost”. He showed me the hand shake and a few times he was trying to get me to join after going to a couple pancake breakfasts at the lodge there. I have a good friend here now talking to me about the Masons but I can’t get any answers except “be careful what you are asking” and no responses online?… Is this an isolated case or does each cell have their own thing going that puts them above the law. EVERYONE in my ex’s family are abusers or been abused because he is a sick man. Not one of my witnesses ever got to step foot into the courtroom and all my witnesses were their family and friends. My life was hell for three years now and I lay awake every night wondering what is happening to my little girl. Isolated case??? Abuse of power? Above the law? Child protectors or abusers and do they allow their members to abuse the law and look the other way as they molest their children and abuse their wives? It really does make me question the implication made on the commercial if women and children are sacrificial lambs. I pray that God will take care of my now 9 year old baby girl because I’m not even allowed to have contact with her at all. Even her school counselor reported physical abuse by my ex’s lover and even finding them in bed together and nothing ever got investigated??? You tell me???????? The WAY it is SUPPOSE to work is that….”Masonic values and teaching become a “Common Bond” through upright living, a belief in a “GOD”, being honest and a loving human being. Through those teachings, friendships develop that can last a lifetime. As humans, and we are HUMANS, if the “Fraternity” and it’s teachings are ABUSED for PERSONAL GAIN, then the individual is COMPLETELY MISSING THE WHOLE POINT OF BEING A MASON. Some people are entirely in it FOR ALL OF THE WRONG REASONS. Just my take on it as a “Woman”. I THANK GOD, that I had the opportunity to be involved as a “child, teen, mother and grandmother”. My grown daughters loved their experiences as well. I hope that this helps you in some way. As a woman I have been able to “Observe” the goodness which I have personally experienced. As in any organization….you will encounter a broad variety of individuals and you must determine for yourself, where you fit in, have a “connect” with another person, and their values. There are SO MANY good MASONS out there…..never let one person’s behavior reflect on the organization as a whole. Dear Gary…..your situation is soooo heartbreaking….Your primary concern is so correct!!! You love your daughter and RIGHT NOW in your current situation my heart goes out to YOU and your DAUGHTER. Yes….you need to protect your daughter….nothing more precious than a child. I know enough about the “Masonic Fraternity” to understand that there ARE methods in place for MASONS to “take care of individuals that do not represent the fraternity in a good light”. It is called a “MASONIC COURT”. If the proper local masons are AWARE of a situation that could be harmful to their organization, SOMEONE, within the Organization should be courageous enough to take a stand!!! It really depends upon the members involved, personal situations and the repercussion’s it could cause within the community. My OWN heart tells me, that I HOPE that someone will fight for you and your little girl. It may not be at your local level (don’t really know how “large” your community is, but, maybe, if someone is following this thread reads it and they understand you and your OWN PERSONAL PREDICIMENT, the proper people will be made aware and in turn may be able to take care of MASONIC BUSINESS on their own, through a different level within the fraternity. PLEASE, PLEASE, keep in mind that humans can be good and bad….in other countries, in the United States, and in churches. You cannot judge another simply by looking at them….you can only judge them by the “actions speak louder than words” (theory). NO one can understand 100% another’s deepest inner thoughts! Therein lies the predicament that MASONS in the PRESENT face….they want to keep the fraternity as good and sacred place for their brothers. They are afraid to rock the boat too much to cause a fuss which may or may not draw attention to the “bad” stuff which may or may not occur within the organization. Big dilemma for them to figure out. They must somehow sort out an individual’s “INTENT” or “PERSONAL AGENDA” before they can trust the individual. Everything you want to “Know” about the Masonic organizations may be found in the public library!! It is no SECRET in that respect. My own and personal cry to “THE MASON’S OF THE WORLD” would be: “please wake up and take action to keep your organization and those associated with it, reflect our modern society as it stands here today so that our organizations remain STRONG, and not die a slow and agonizing death”. Gary…will say a prayer for you and your daughter…stay strong….never give up hope and with help from God, your daughter will remain safe because she has a father (both you and above) taking care of you and your situation. Freemasonry is a fellowship of men who look out for each other all through life, no more no less. The rest is mumbo jumbo.